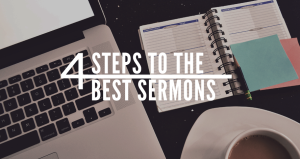 Our second step to more powerful sermons and sermon series is a sermon series calendar. I know what you’re thinking, “Duh!” And you’re right. It does seem like common sense, but it took me a while to get this down. As you can see, we have our series that we’ve sought God for and really believe God is leading us to do mapped out according to what we saw on the church calendar. The series that we consider “felt needs” and most impactful certainly line up on the church calendar where most people will be present at church. 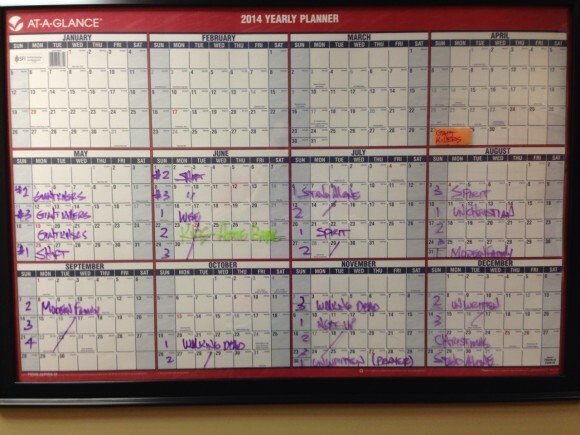 We want to pack our best punch and use the year calendar in our favor. We want to make impact in people’s lives and help them transform into who God wants them to be… we can usually tell which series will do this best. We plan those series out accordingly. As you can tell, sometimes we get the series titles in this step and sometimes it’s more general ideas. That’s okay, we’ll get down to a little more micro stuff in our next step. Seeing this all on one piece of paper and all together really helps when fitting series and ideas together. Now, you’re going to be tempted to start planning sermon title, etc in this step, don’t do that. Just lay out your series for the year. They’ll be plenty of time to construct the series more fully and the sermons more distinctly later. That’s for the next post! You can order a year calendar like this here.